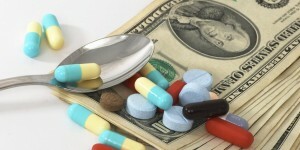 A transparency bill targeting runaway drug prices that had widespread and bipartisan support in both chambers of the Colorado Legislature was killed 9-4 by the House Committee on Health, Insurance and Environment on Thursday. The bill was one of 11 such measures around the country drafted in response to the skyrocketing costs of pharmaceuticals. Veteran healthcare reporter Cara DeGette wrote about those out-of-control drug prices for the Rocky Mountain Post on Thursday, and RMP also delved into the topic last month. “HB 1102, which would have required prescription drug manufacturers to provide data on cost components of expensive drugs, with a report going back to the state legislature, was killed by the House Committee on Health, Insurance and Environment on Thursday. “The legislation attempted to shed light on one of the biggest drivers of health care costs. CCLP worked on amendments that would have focused the discussion on costs incurred by the Colorado Department of Health Care Policy and Financing, but the amendment failed to pass and the committee rejected the bill by a vote of 9-4. With healthcare costs across the Rocky Mountain West completely out of control, it’s a also a topic the Rocky Mountain Post will continue to follow.